One year ago today, tens of thousands of parents lost their only child, buried deep in the rubble of school buildings. 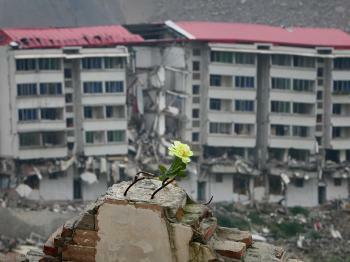 Thousands more died in China's massive earthquake on May 12, 2008. The official death toll is almost 70,000 with more than 17,000 people still missing. The tragedy does not end with the deaths, the aftershocks, the chilling winter spent in makeshift tents; nor even with the knowledge that the schools were constructed badly from shoddy materials. Grieving parents are now being harassed and thrown in jail for seeking redress from officials. Amnesty International released a report recently detailing the efforts Communist Party officials are taking to clamp down on appeals, protests, and media coverage of parents wanting answers. The report, “Justice Denied: Harassment of Sichuan Earthquake Survivors and Activists” details how Chinese authorities intimidated and unlawfully detained parents and relatives of children who died in the earthquake and harassed activists and lawyers who tried to assist them. Some parents and relatives were detained for up to 21 days for trying to seek answers from officials about why their children died, the report states. Some have been detained repeatedly and the youngest detainee was only eight years old. M's (name withheld for safety reasons) 16-year-old son was in Juyuan Middle School, according to the report. M was detained seven times from between one day to 21 days by police from Juyuan county and Dujiangyan because of plans to petition to Beijing with other parents. “It was a very, very small room, so small that there was only enough space for a bed and a small table,” M said in an interview with Amnesty. Throughout the interview, M repeatedly told Amnesty International that with this disability he received during his detention and the loss of his child, he had no hope left and wanted to end his life. The lawyers in Beijing who had been approached by some survivors told Amnesty International that soon after these parents contacted them, the Beijing Municipal Bureau of Justice warned the law firms in which these lawyers are employed not to participate in these cases and ordered guarantees from the law firms that they would not take part in these cases. “Because of the Olympics, the authorities wanted to maintain stability and therefore we were not allowed to intervene into any cases from the Sichuan earthquake region,” the lawyer said. 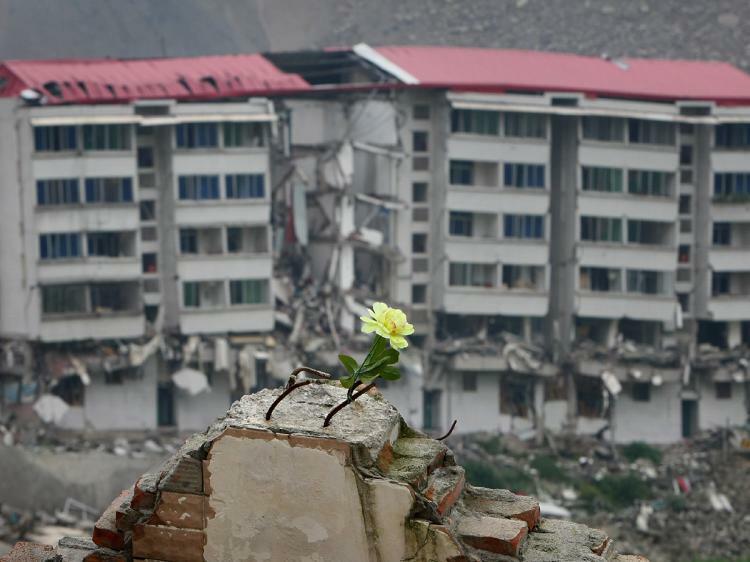 Deyang City had the most serious collapse of school buildings in the Sichuan earthquake. According to a city report, 3,000 students died. Almost all of the school buildings that were under the jurisdiction of Deyang collapsed. "We all know it's the Tofu buildings that killed the children," said Fan, a Sichuan resident whose eight-year-old nephew was buried forever in the debris of what used to be Xinjian Primary School in Dujiangyan City. "Tofu" is how the Chinese describe shoddy constructions. "We have petitioned to the educational officers, but they would not respond," said Fan helplessly. Fan's nephew was among the over 10,000 children killed by falling school buildings in the May 12 earthquake. Aid money lining the pockets of officials has been rampant, according to many reports. One method used is to record a fake number on the purchase receipt—a well-known phenomenon of the systematic corruption within the Chinese regime. Citizens are raising concerns that it is happening to money donations meant to be spent solely on helping people reconstruct their homes after the devastating disaster. "There were two Red Cross officers from the Zhongjiang district trying to buy $10,000 worth of medicine from our shop for the earthquake victims,” said one medicine retailer in an interview with NTDTV. “But they wanted us to write down a number that is five times higher than the true price. We refused, but the neighboring medical retailers gave way to these officers." One year after the major earthquake, the parents are still grieving, and many have lost hope of any kind of redress. Additional reporting by Gu Qinger and Xue Fei. This year is the 78th anniversary of the Holodomor, the great famine-genocide in 1932-1933 in Ukraine.